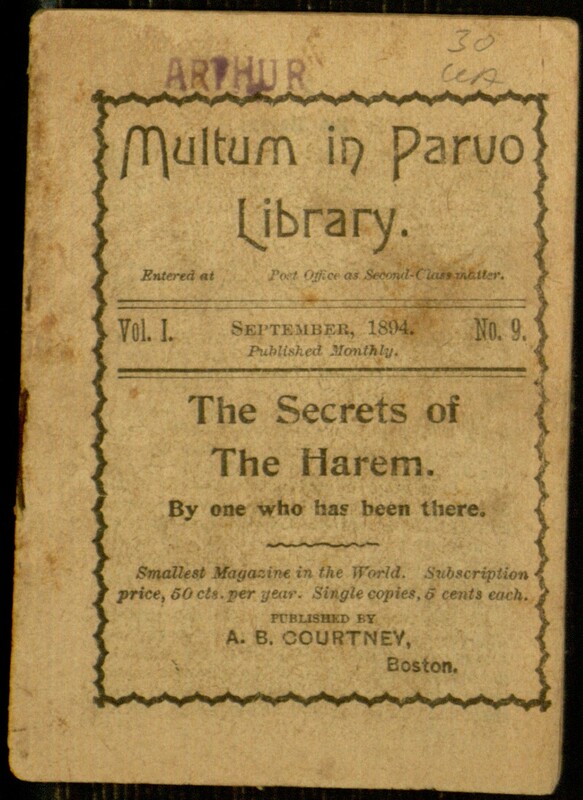 Our latest Distributed Proofreaders project is a tiny chapbook from the Multum in Parvo Library, which described itself as “the smallest magazine in the world” and covered an unusual assortment of subject matter. 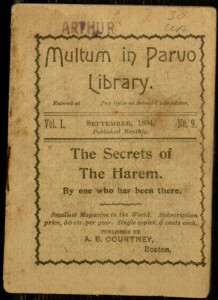 The particular issue in question is The Secrets of the Harem, a work which was almost certainly intended to pique the curiosity of its audience rather than convey useful or accurate information. Regardless of its utility or political correctness, it remains an interesting piece of ephemera, showing one of the ways publishers tried to entice readers in the late 19th century. To help create a new electronic edition of this text, first read how the process works in this earlier blog post, then join in the work at the project page.